Gov. 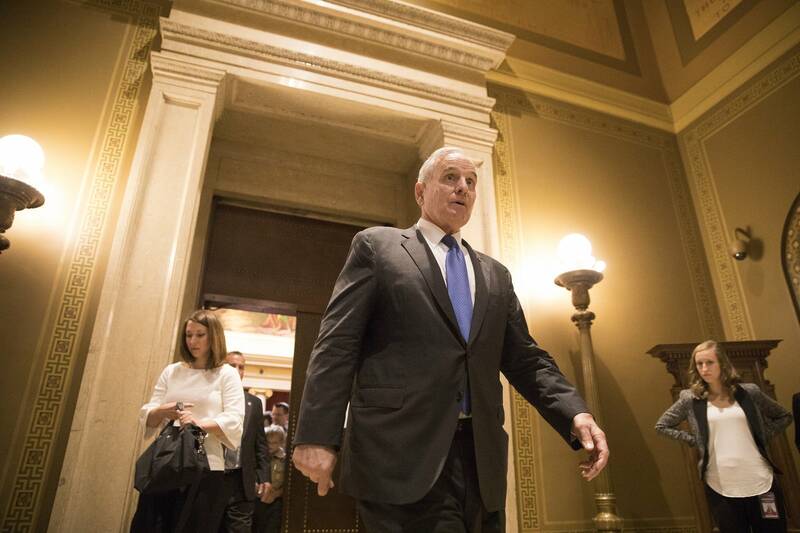 Mark Dayton says he has trouble sleeping when he dwells too long on the possible damage hackers could do to state government. Ironically, it's the obsolescence of many state computer systems has protected them from attacks, he said. "I fear that it will take something truly catastrophic to gain the public's attention and their demand to give cybersecurity the appropriate priority in funding in the public sector," the DFL governor told a gathering of cybersecurity experts in Minneapolis Tuesday. Dayton got only a fraction of the spending he proposed for technology and cybersecurity upgrades last session. He plans to try again next year. But it has been a tough concept to sell, he told reporters. "It's hard when it's in competition for funding with somebody's rundown bridge or a needed new college library or even a new snowmobile trail to compete and get that level of priority and funding that it needs," Dayton said. Back at the Capitol, a Minnesota Senate committee was also discussing cybersecurity threats. In the past year alone, Minnesota officials discovered a data breach in a state park computer, a hacker broke into a state university computer to protest the not guilty verdict for the police officer who shot Philando Castile, and an email scam targeted Minnesota school district officials. Chris Buse, the state's chief information security officer, updated members of the Senate state government committee on efforts to prevent further incidents. He also made the case for additional cybersecurity funding. "When you look at all of the major breaches that are in the news today and the fact that almost everybody's data recently got hacked with the latest Equifax breach, we're almost at a point now today where we don't even need to talk about whether cybersecurity is a real risk," Buse said. "It's pretty clear now that we operate in a threat-laden world." The committee chair, Sen. Mary Kiffmeyer, R-Big Lake, said cybersecurity was a casualty of end-of-session negotiations. Kiffmeyer blamed the outcome on the governor, who she said wanted the money spent instead on state agencies. "It was the full amount of money, and that was in the official offer that we gave to the governor's representative. That was turned down. So, we were really rather shocked," Kiffmeyer said. Dayton's press secretary, Sam Fettig, rejected the Kiffmeyer claim. He countered that Republican-led committees "savaged" the governor's request for computer upgrades. "It's absurd for them to blame the resulting lack of funding on anyone but themselves," Fettig said. In a separate, move two Republican lawmakers outlined a proposal to help the victims of identity theft, such as the Equifax breach, which exposed the personal data of more than 145 million Americans. Rep. Duane Quam, R-Byron, and Sen. Dave Senjem, R-Rochester, said a special passport would allow victims to quickly prove their identity. Quam introduced the legislation last session and hopes it will get a hearing next year. He said it would help people whose identities have been stolen reclaim their financial health. "They're drowning in the effects, and we need to reach out with a hand and pull them out," he said. "This bill is meant to start the process and the discussion of letting people know we've got something that will help and helping them rebuild their lives."